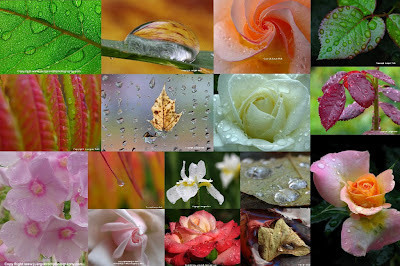 In this nature macro photography blog post I compiled some of my personal favorite Raindrop Photography Artwork in a collage. The selection varies from flowers drenched in raindrops to photos of a single raindrop on a blade of grass. All pictures were taken locally in the beautiful natural environment of my home state of Massachusetts where I benefited from my own Exposure and Flower Photography Tips.